Apple’s former CEO says it’s no longer a tech innovator, it’s a luxury brand. And that’s a smart move, according to John Sculley, who led Apple from the mid 1980s to early 1990s. 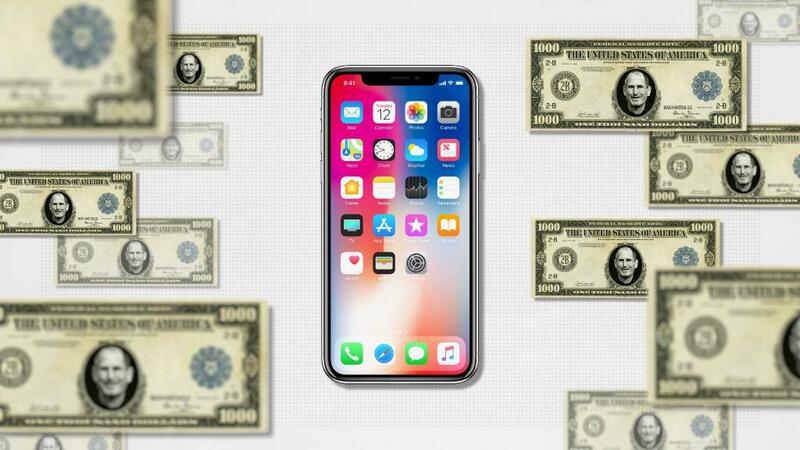 Sculley told CNN’s Julia Chatterley on “First Move” Wednesday that Apple (AAPL) has embarked on a “carefully crafted strategy” to sell higher-priced phones that are more profitable. He said Apple has only about 15% market share of the industry, but 90% of the profits. The company is expected to unveil new iPhones later Wednesday. The former chief executive said Apple is now more a company like LVMH (LVMHF), the luxury fashion company that is known for great designs and brands like Christian Dior. Sculley, who famously joined Apple to work with Steve Jobs after serving as president of Pepsi (PEP), said it’s a smart move by current Apple CEO Tim Cook to go higher end. He said the industry is shifting from “rapid innovation” to more evolutionary changes for smartphones and other mobile gadgets. Sculley said companies like Samsung take on more risk by trying to push the envelope with new features for phones. Apple, on the other hand, can sit back and wait to adapt to changing consumer tastes. As for what’s next from Apple, Sculley, who is now chairman and chief marketing officer at pharmacy benefits management company, RxAdvance, said he thinks Apple, along with Google and Android owner Alphabet (GOOGL), will look to do more in healthcare. The Apple Watch already has several monitoring features to help people track basic health measures like their heart rate and sleep activity, for example. Sculley also said that it makes more sense for Apple to keep investing in its lucrative services businesses — and that it likely will do more in the connected car market and augmented reality. But just as Jobs famously promised “one more thing” at Apple events, Sculley said that he thinks Apple may still be working on things that are being kept secret — even though the latest changes to the iPhone may not be that revolutionary. “There’s always something that’s unexpected. So stay tuned,” he said.